On-Demand, Live Online and Virtual Training feature the same premium quality content as our highly acclaimed Face-to-Face training. 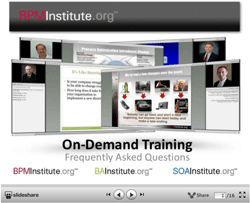 On-Demand training is available 24/7/365 for your PC, phone or tablet. 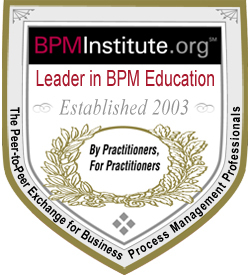 Advance your career and your company by taking a single course or earn your BPMPSM Certificate. 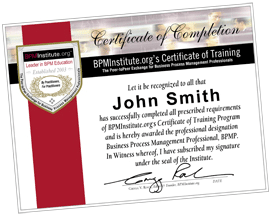 Career advancement: Earn your BPMP Certificate online. We also offer PDU's. Member Offer: Premium, Professional and Corporate Members are eligible for discounted and/or complimentary access to Module One's. Sign in before selecting in order to receive the proper pricing.